The lecture will describe Marc Brunel's pioneering idea of a moveable shield for tunnelling through soft ground, and the heroic construction of the Thames Tunnel, the first civil engineering project on which his son I K Brunel worked. The lecture will also describe the latest tunnelling technology applied in the Crossrail project with 21 kilometres of sub-surface twin bore tunnels and 8 new sub-surface stations, focusing on the importance of geology and recent innovations. Important questions will be discussed, such as whether buildings above will be damaged by subsidence, how they can be protected and how existing underground infrastructure might be affected by new tunnel construction. Recent research advances and innovations will be described, including novel techniques for monitoring construction and whole-life performance using fibre optic technology and wireless sensor networks. 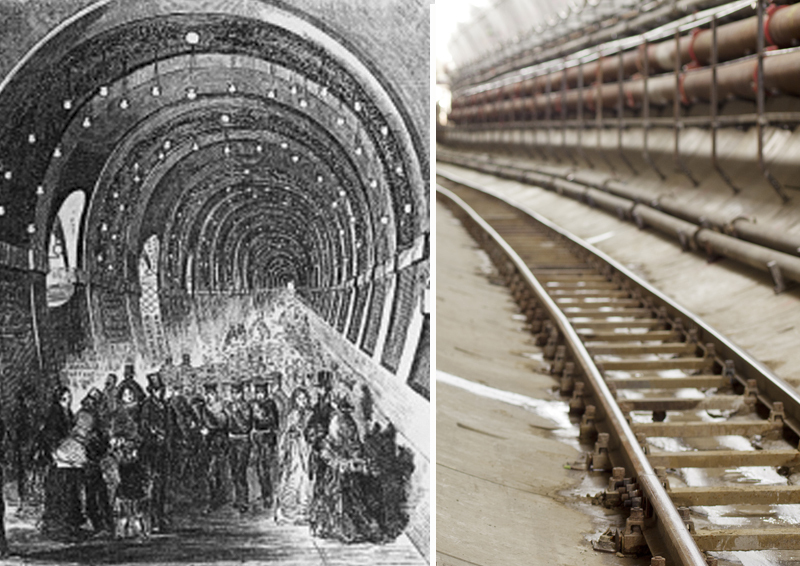 Join us on 18 July to hear Professor Lord Robert Mair cover the history of the Thames Tunnel construction, the techniques that were utilised and how these translate into modern tunnelling, with a view to the future.